Who would have thought that you could do both Whale and Puffin Watching from Reykjavík? 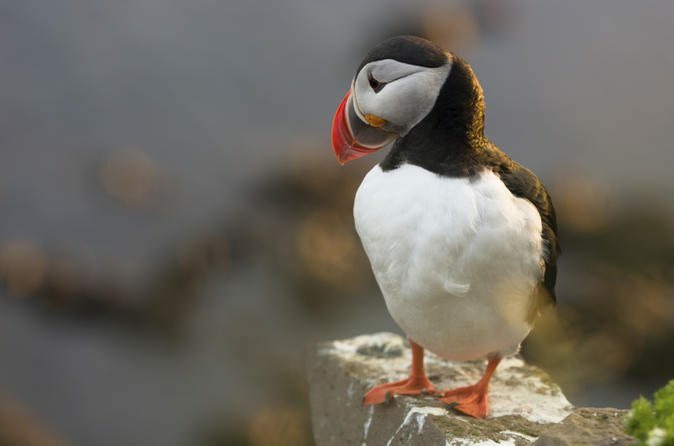 The adorable Puffins live only a short boat ride away from the Old Harbour in Reykjavík. We go by our small boat named Skúlaskeið (“Old Skúli“) that is perfect for puffin watching since it has a shallow draught and therefore can get really close to the small islands where the puffins live. Our guides are very knowledgeable about the thriving birdlife in the surroundings of Reykjavík. The Andrea is the biggest whale watching boat in Iceland and has an educational and interactive focus. It is also very family friendly and spacious with a cafeteria on-board. Note that these are two separate tours and you do not have to do them on the same day.